We arrived in Phuket around 2am and took a taxi to our hotel, MeRoom. When booking the hotel, we noted in our reservation that we would be checking in around 2am. 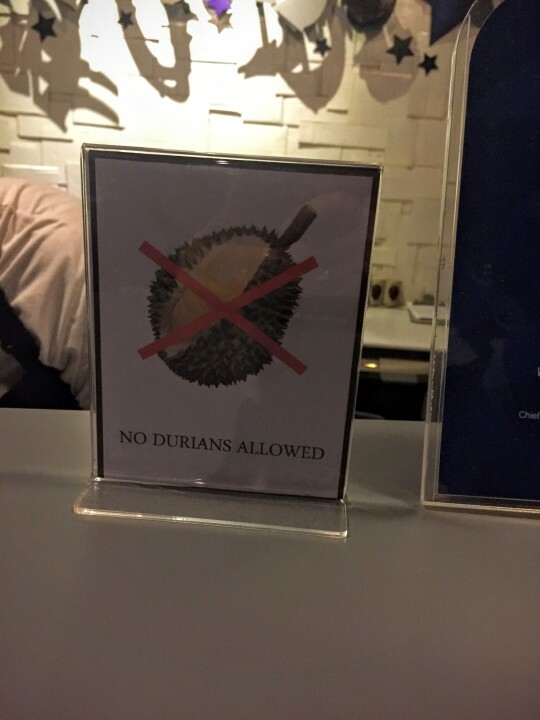 We got to the front desk and the first thing we noticed was the explicit signs forbidding durian. Durian is a fruit that looks kind of like a jackfruit – but smells disgusting, like a gas leak. There are seven rooms at Meroom and each one plays a part in the “family” theme. 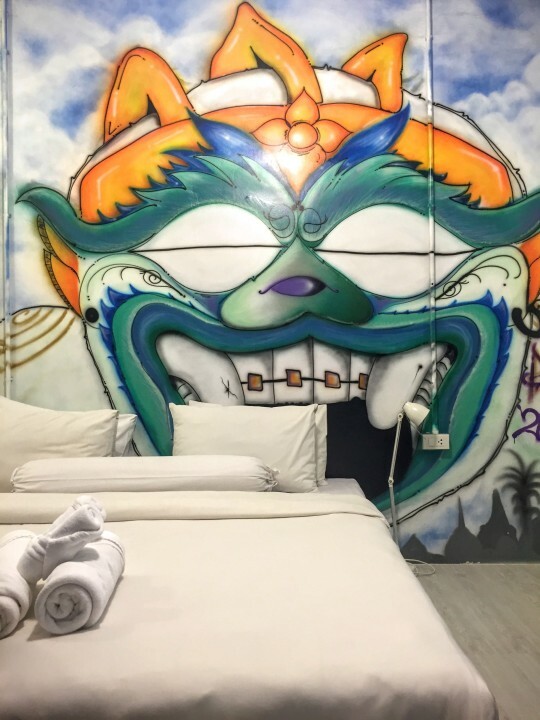 We were in the brother’s room, which had awesome graffiti as decoration. After we checked in and dropped off our bags, we went to a nearby 7-11 to try to get local SIM cards and snacks. Barbara had constantly told me that the 7-11′s in Thailand have the best snacks. 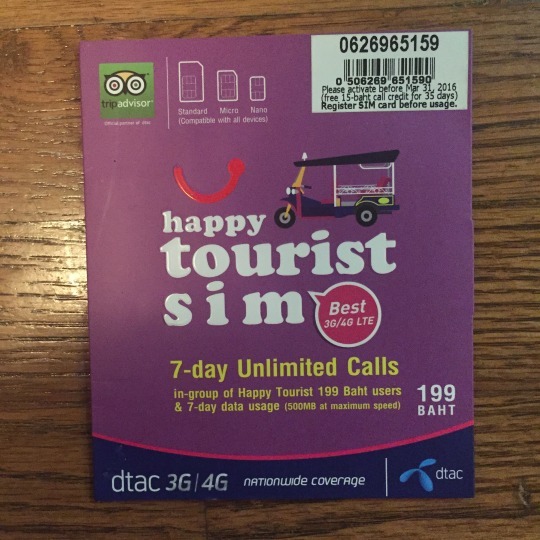 Our plan was to get up at 7am to catch the first ferry to Phi Phi, so we wanted to get local SIM cards for our phones as well. After 7-11, we went back to Meroom around 3:30am to get a few hours of sleep before heading our morning ferry. When we woke up, the woman working the hotel served us breakfast consisting of toast, eggs and sausage. We scarfed it down and we grabbed a van to the pier to head to Phi Phi.